Hi there! 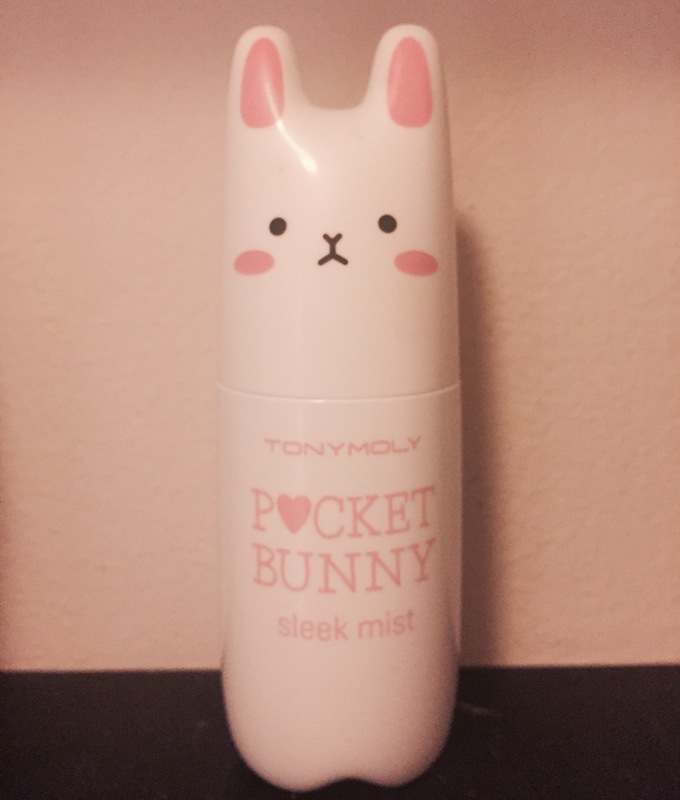 Today I will be talking about the Tony Moly Pocket Bunny Mist in the sleek version. This is another product that I originally purchased based on it’s cuteness factor. There is also another version, which is a moist mist. I haven’t tried this one yet, but perhaps when I finish up this one I will try that. I will link both down below on Amazon, where I purchased mine. I have found Amazon to have one of the best deals on this spray. I originally thought I would use this spray as a setting mist for my makeup, but to be honest I don’t think it served well for this purpose. I do think, however that this spray helps underneath makeup. Especially for those who have oily skin. I didn’t realize this product was intended for oily skin, so I do think the moist product would better serve my skin type. However, my friend who does have oily skin loves this for underneath her makeup to control shine. The spray is also good for those who just want a light mist during the day to refresh your face. The mist itself is very fine and has a faint smell, almost like baby powder I guess? It’s very refreshing, and most of all adorable!! I would definitely recommend it!! Have you tried the moist mist? What facial mists do you like? I am always on the look out for new products! This post was not sponsored, nor did I receive any products for free..as usual I wish I did. 😆 All these items were purchased with my own funds! However, The Boston Bargainista is a participant in the Amazon Services LLC Associates Program, an affiliate advertising program designed to provide a means for sites to earn advertising fees by advertising and linking to Amazon.com.